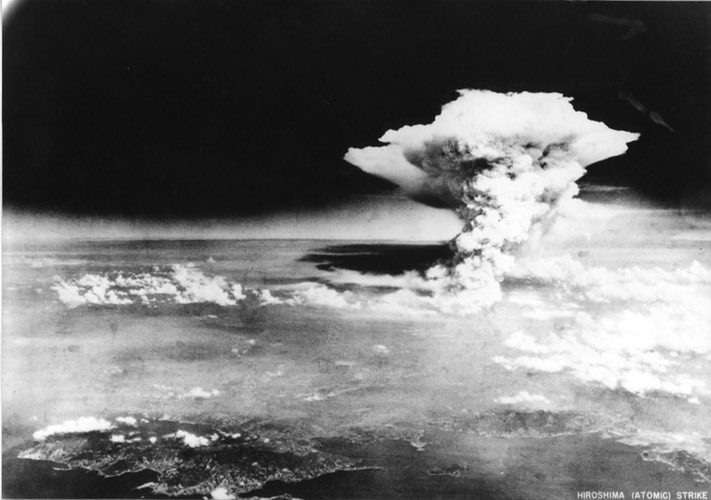 Today, 6th August 2015, marks the seventieth anniversary of the dropping of the first atomic bomb in war. For me, I think that the atomic bomb is the ultimate expression of 'man's inhumanity to man' - tens of thousands wiped out in an instant, followed, over the succeeding weeks, by almost as many again, and the continued suffering of the survivors, many decades on. Much ink has been spilt, and angry words exchanged, on whether or not the use of the bombs was necessary. I am not going to enter that debate. I don't think the argument could be resolved unless we 'ran the experiment again' and fought the war to conclusion without their use. And anyway, that isn't the point… There would have been considerable loss of life, whichever way the war had ended. My point is, I think, that mankind, whilst having a huge capacity to do good, also has a tremendous propensity for evil deeds. A sobering thought, suitable for an anniversary such as this. A thought which should make us pause, and reflect, whether we follow a religion, or not.